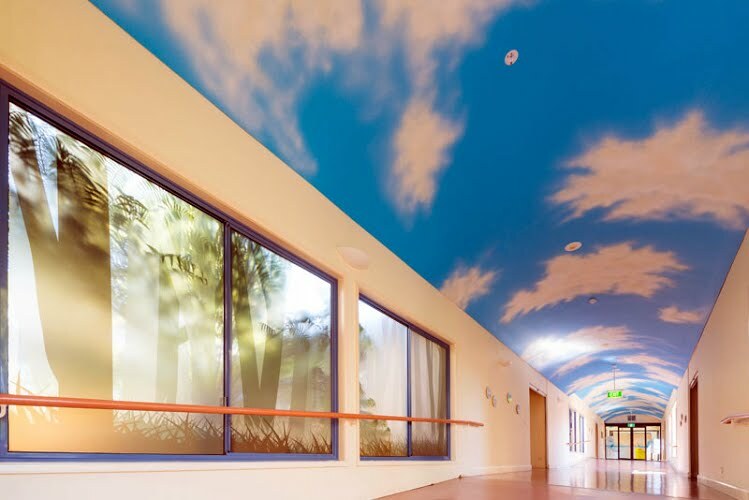 Interior design, project management and fit-out. 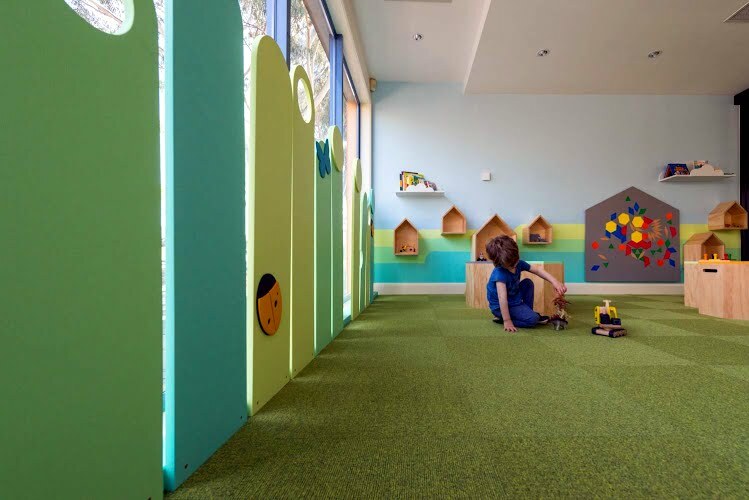 Moth was recruited by QEC to transform the clinical feel of its welcome space into an inviting and child friendly area. 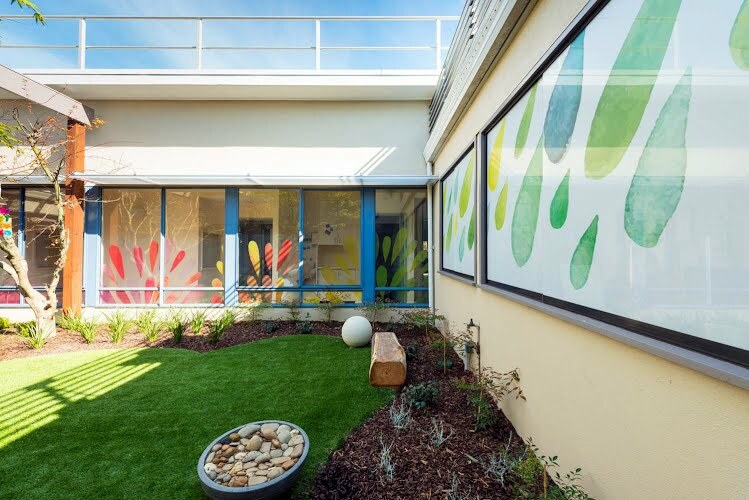 Friendly grass blades screen and speech bubbles line the glazing to create a greater sense of privacy and welcome for the families visiting at QEC. 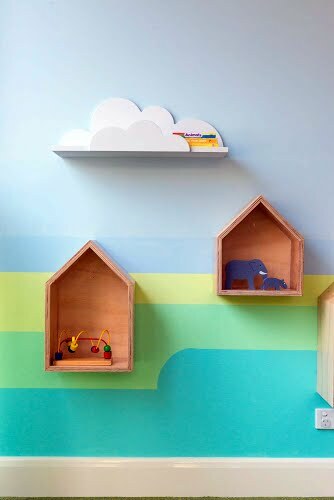 A painted landscape in calm hues with naive floating cloud and house shelving provide a backdrop for the furniture in front. 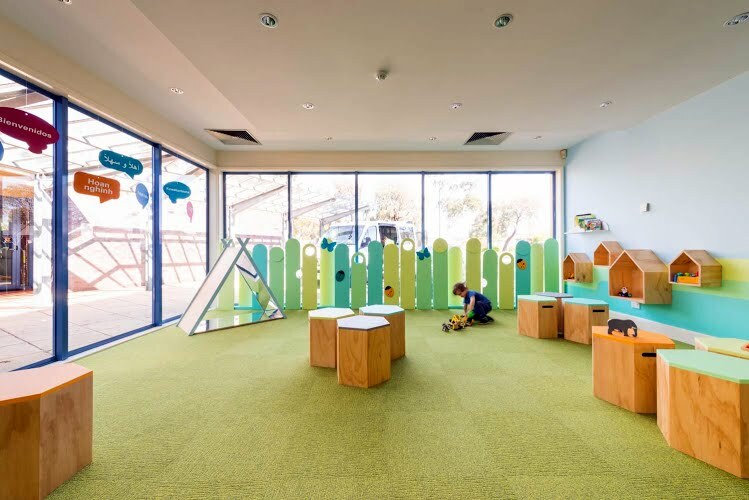 A magnetic board with polygon magnets and a mirrored teepee allow the visiting children to explore and play whilst waiting. The hexagonal stools were designed with flexibility in mind -- allowing the space to be transformed into a staff meeting area room for days without family intakes.